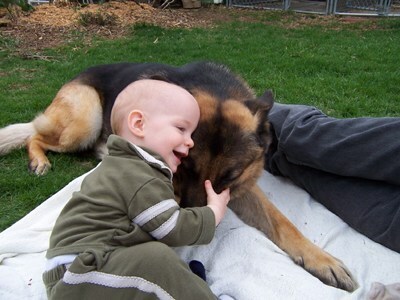 Are you planning to have a baby or already have a baby or child that you want to introduce to your dog(s). We believe that everyone should be able to live in the home in a peaceful manor. We will come into the home and teach your dog(s) how to interact properly with your family or children. Sometimes it's the children that need to be trained so we will show them how to interact. We would like the parents to be close by so that they can learn what to do in a daily routine to reinforce the training. 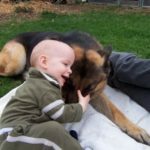 Having a dog that is an "only child" may seem like a difficult task to over come but through the right training and proper techniques you and you dog can live a harmonious life with a new addition.